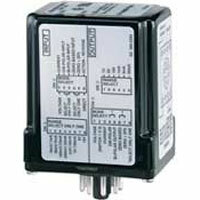 Process Signal Converter/Isolator protects electronic circuits by completely isolating the input and output signals from each other and from ground. Zero and span adjustments are easily accessible on top of housing. 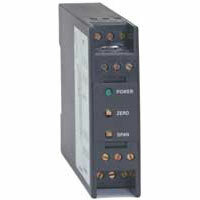 Iso Verter® II Signal Conditioning Module has applications in signal conditioners used in panels for isolation and converting signals for boilers and control systems. 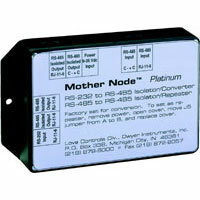 Mother Node™ Communication Signal Converter offers an easy way to use any PC to communicate with half duplex RS-485 devices. Installation is simple. No additional connections or settings are required.